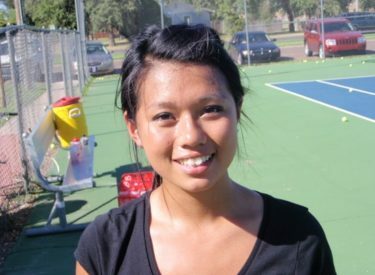 Liberal senior girls tennis player Susan Nguyen is the Mead Lumber Athlete of the Week. Nguyen was 4-0 in Liberal’s opening tournament last week. Nguyen and the Redskins compete at Colby on Satruday. Nguyen placed 10th at state last year. Nguyen was a guest during the Sportsguys Thursday morning on Talkradio 1270.